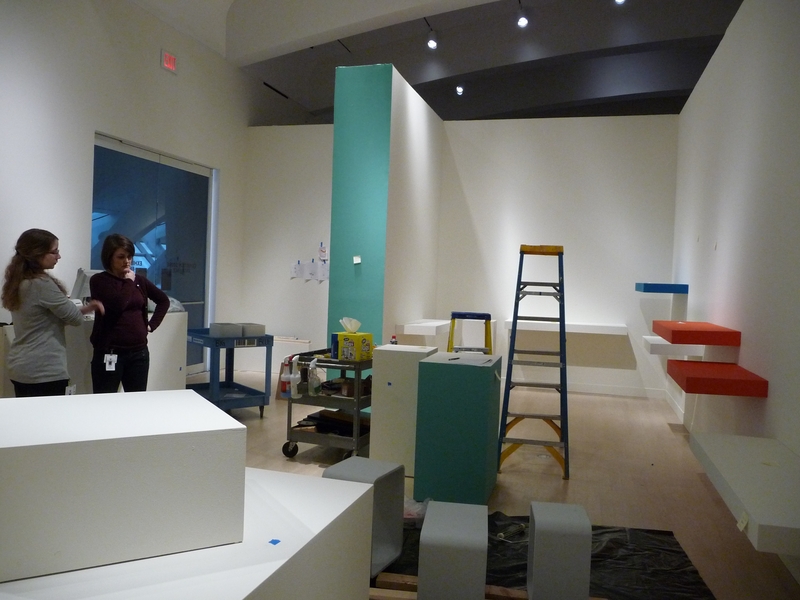 If you’ve read curator Mel Buchanan’s posts Painting the Gallery Walls or Layers of Exhibition Paint, you already have a general sense of how an exhibition physically comes together. 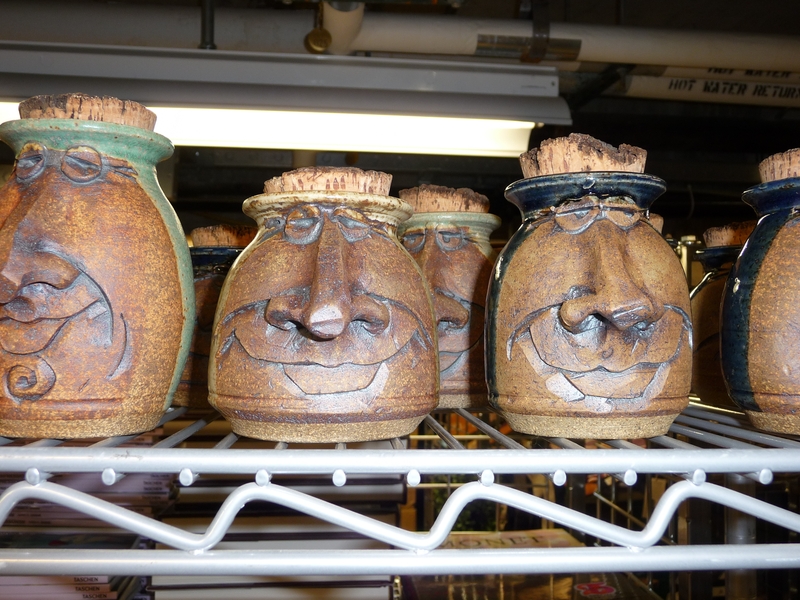 A lot of those same processes apply to the execution of an exhibition store, as well. While Impressionism: Masterworks on Paper was still in full swing, Director of Retail Operations Karen McNeely and Store Manager Jeanne Tripi met with the Museum’s Exhibition Designer John Irion to discuss the dimensions and the colors of the Accidental Genius: Art from the Anthony Petullo Collection exhibition store. 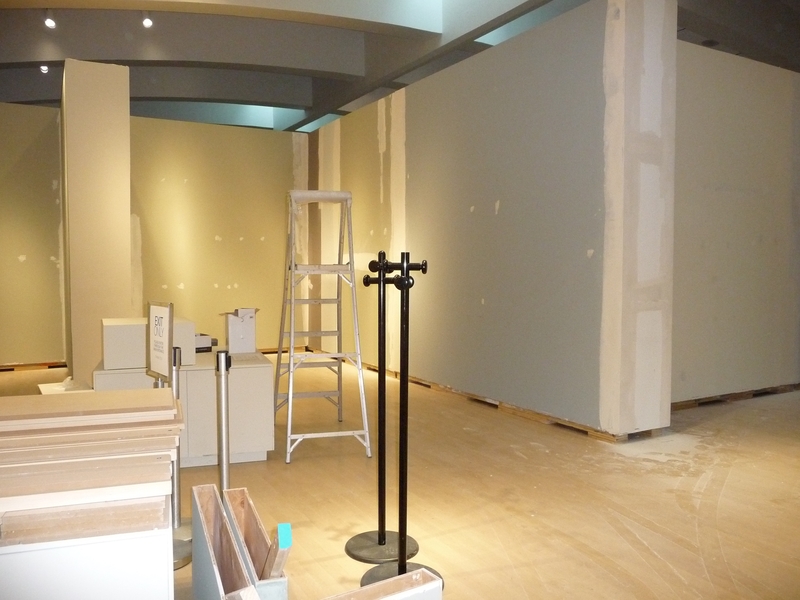 In fact, the Impressionism store and the Accidental Genius store are located in the exact same space–just the configuration of the walls has shifted. 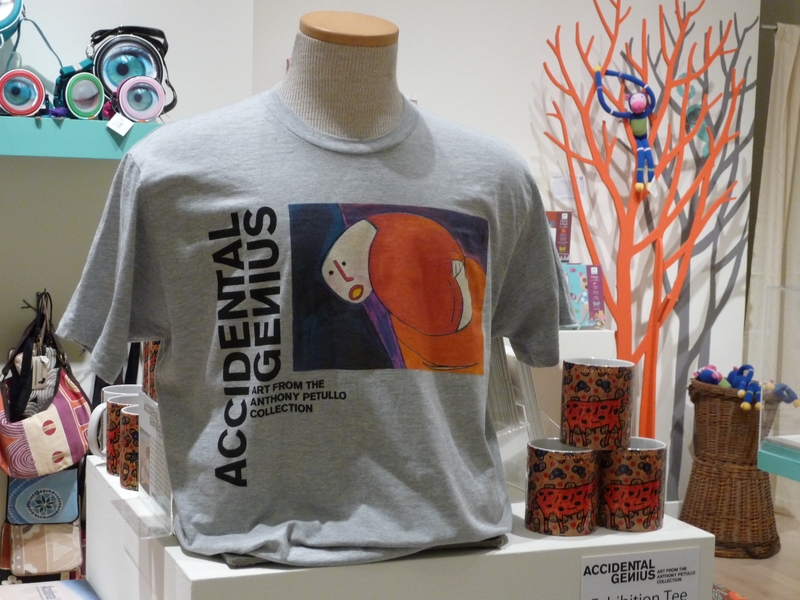 Bearing in mind the available retail space and the art featured in the exhibition, Karen and her team of buyers started choosing or producing merchandise for the Accidental Geniusstore, which was gathered on rolling racks until it could be brought upstairs into Baker/Rowland Gallery to be displayed in the new store. 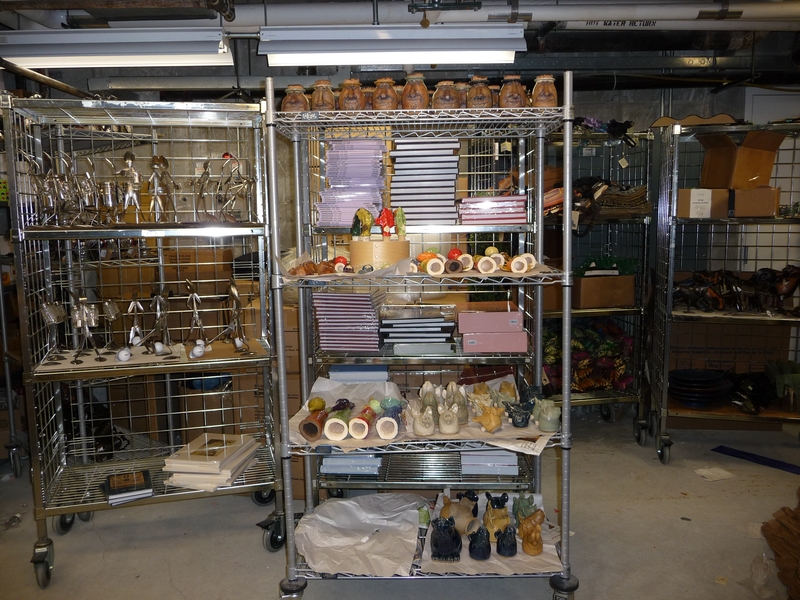 As the merchandise arrived at the Museum’s Southwest Dock, it was unpacked, counted, scrutinized for flaws, priced and organized on rolling racks by the store’s receiving team, Brieanne and Anna. 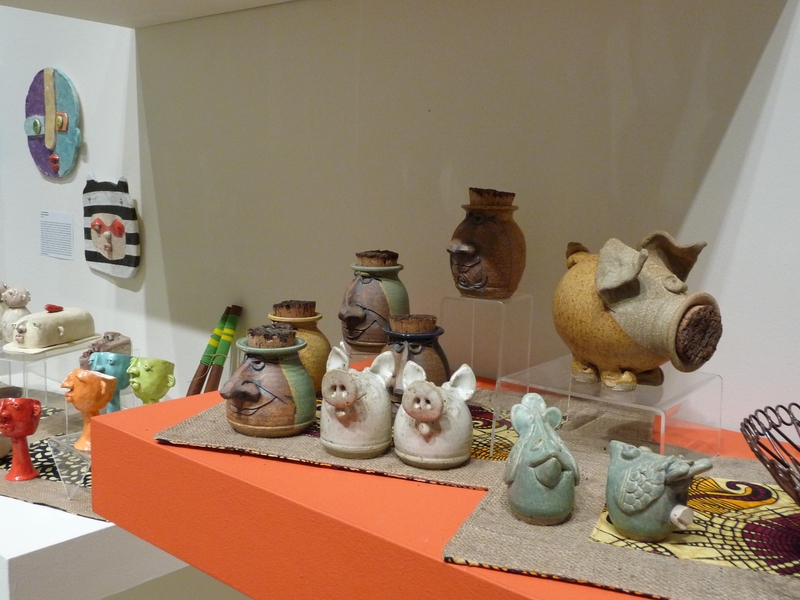 Jeanne considered all space, fixture and product information and plotted how to “merchandize” the items in a way that is compelling, unique, reflects the content as well as the spirit of the exhibition, and welcomes visitors to linger and shop. Several sales associates came in to help Jeanne prime and paint fixtures and shelves. 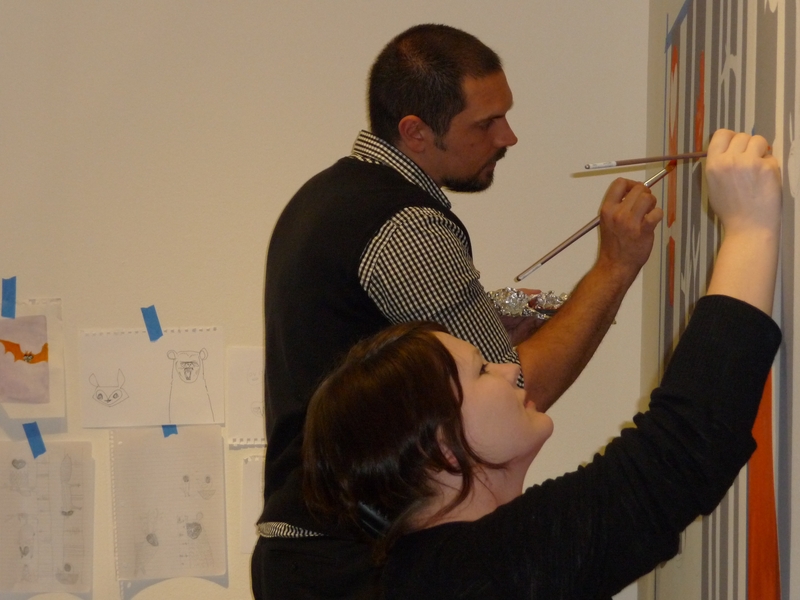 For Accidental Genius, Stevie Weishan designed and painted her own original mural on the wall directly facing the exit doors of the exhibition store. 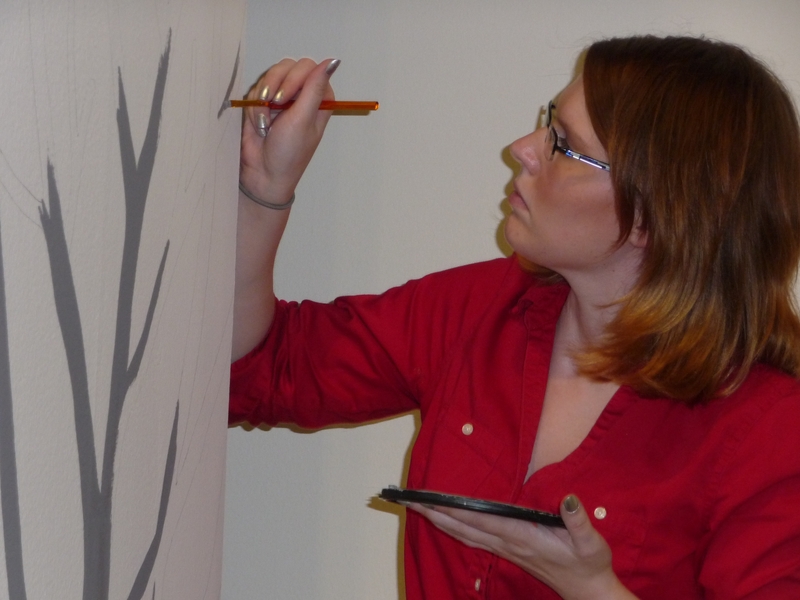 One afternoon, she enlisted the assistance of her artistically talented co-worker, Dan. 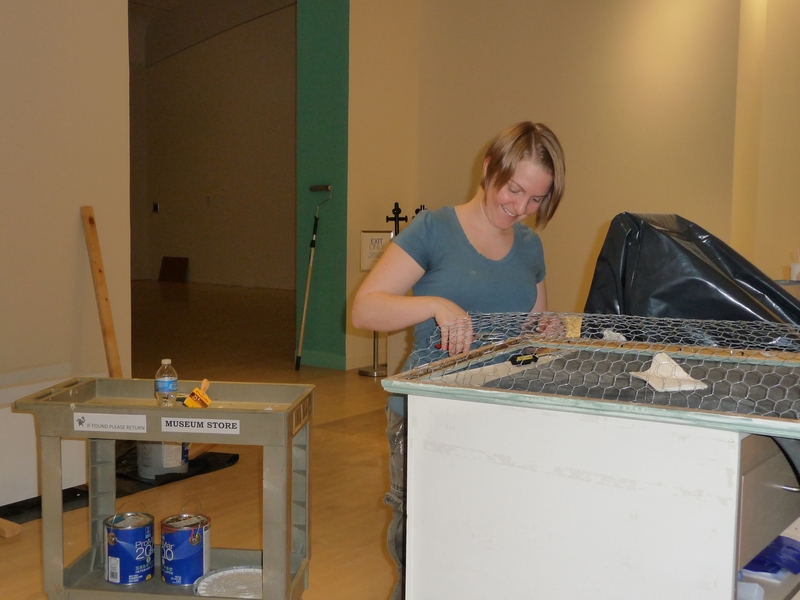 Anna chipped in to remove chicken wire from a frame, staple by staple—this winter, small French tumbled marble tiles hung from the wires in the Impressionism: Masterworks on Paper exhibition store. 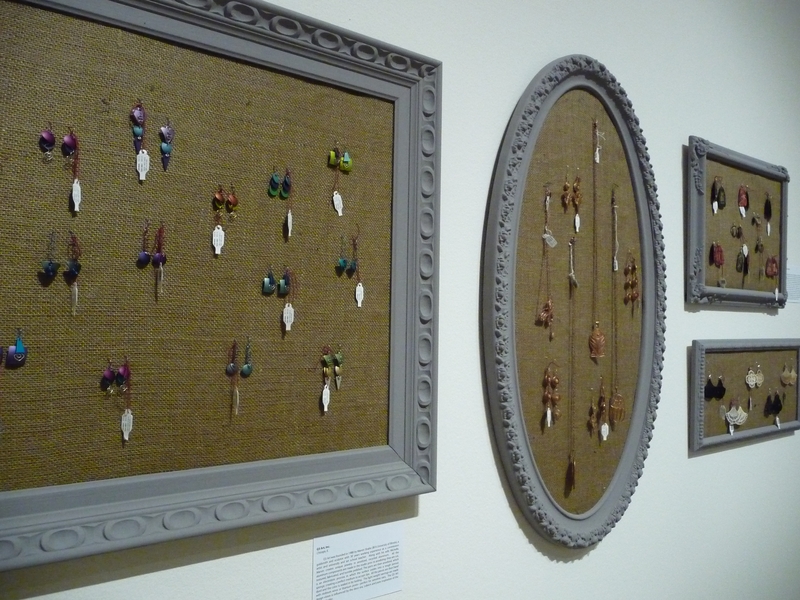 The frame was given a couple coats of paint, mounted over some burlap and became an earthy and effective display for jewelry. Erin came in to lend a hand by painting the retail ecosystem for the adorable stuffed blue monkey, inspired by David Pearce’s Monkey at the Door, on view in the exhibition. 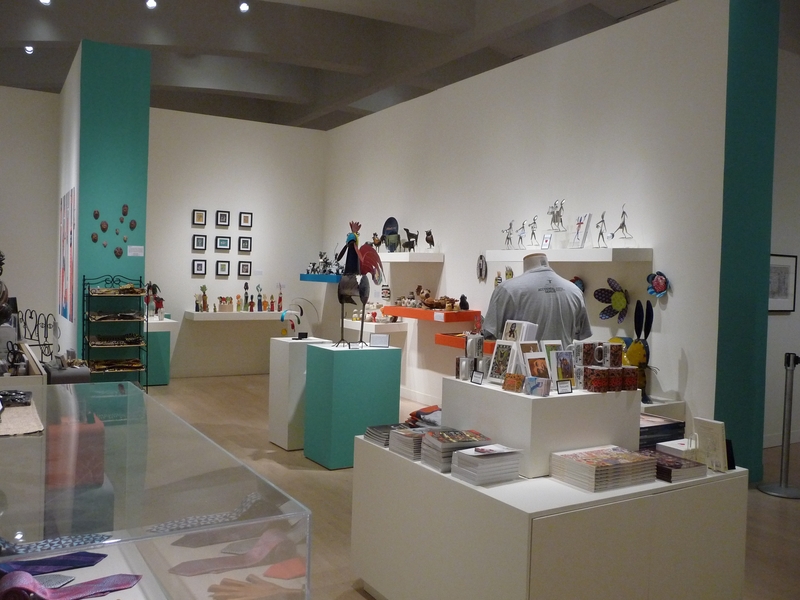 Opening a featured exhibition store requires innovation every time: there are the new dimensions and layout to work with, new products, new colors, a new design aesthetic, and new problems to puzzle out. Here are before and after shot, now that you have a fresh perspective on how much thought and hard work goes into this ever-changing little space! Ta-da! Hope to see you there soon! This entry was posted in Behind the Scenes, Exhibitions, Museum Store and tagged Accidental Genius, Behind the Scenes, Museum Store. Bookmark the permalink.